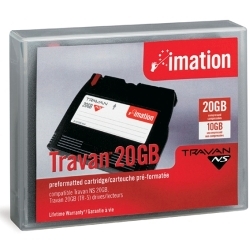 Imation Travan NS20 10/20GB Network Ser. (TR-5) (12115) : Disk-O-Tape, Inc.
With a clear migration path and strong industry commitment of tier-one OEMs, Travan™ technology is the optimal backup solution for the growing data storage needs of businesses requiring entry-level server backup. Travan™ technology is quickly becoming a standard for cost-efficient, entry-level server backup. 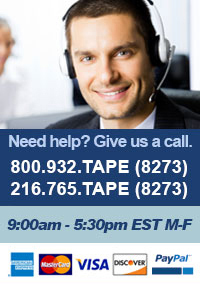 Travan technology offers businesses a reliable, cost-effective tape backup and storage solution. With a clear migration path and strong industry commitment of tier-one OEMs, Travan technology is the optimal backup solution for the growing data storage needs of your business.